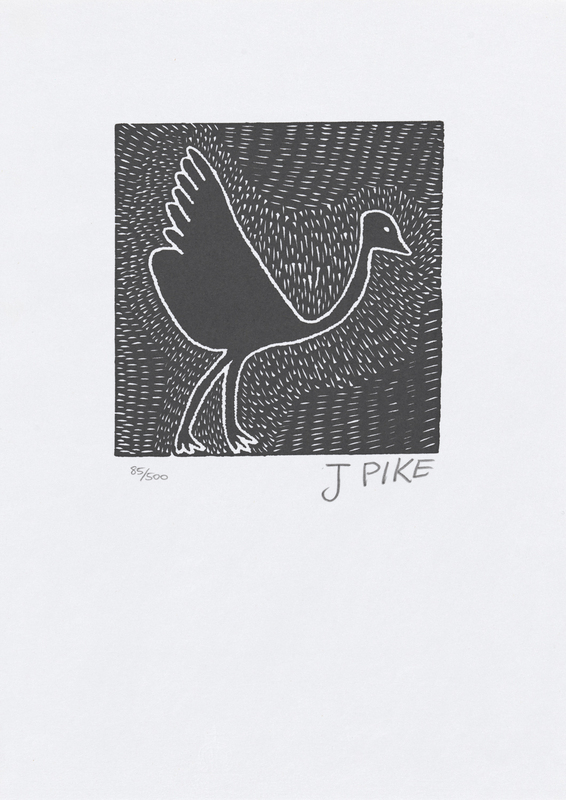 Inscribed 'J PIKE 85/500' below image. Inscribed 'ATS_1036/ATS_1036_028 2014L/0298' on reverse. Circular label inscribed '526' on reverse. A billabong story, water right round and a swan.